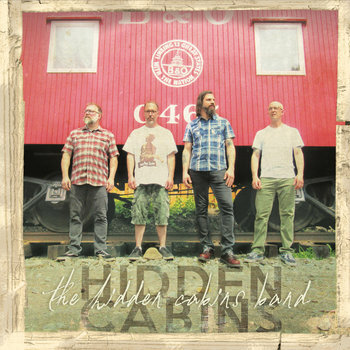 HIDDEN CABINS is primarily a two-piece indie-folk group, comprised of Craig Cirinelli (microphone, hand percussion) and Brian Hofgesang (guitar, textures, addt'l microphone) writing melodic songs with a simplified vision yet a complex emotive flair. Currently claiming dual residence in New Jersey & North Carolina, Hidden Cabins ushered far reaching exposure for themselves as they journeyed outside of the USA on multiple trips to England, Canada, Spain and Scotland. After supporting multiple modest releases, each in two to three song brevity, Brian & Craig brought Rich Perry (drums) and Jason DelGuidice (bass guitar) on board for intermittent live performances and in also the studio to flesh out their next offering—a full-band EP aptly titled The Hidden Cabins Band for Autumn 2018 on both Engineer Records of England as well as Pyrrhic Victory Recordings of New Jersey.